Do you need gas fitting work at your home or business? Many people are not aware that we are also licensed gas fitters. This means we can do any gas work from the gas meter onwards. 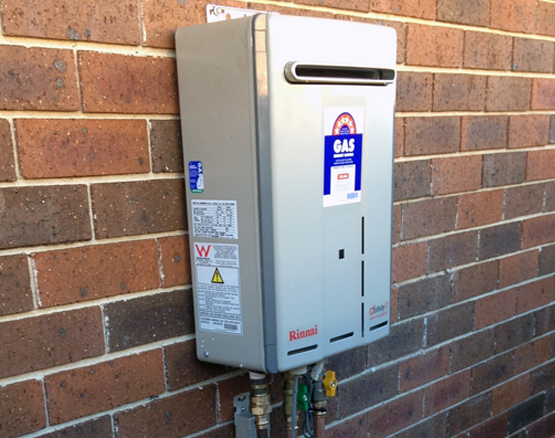 We work with natural gas and LPG, including instantaneous and storage gas hot water systems. We can install new gas lines, gas appliances as well as gas points for heaters and barbecues. We can also convert LPG barbecues to natural gas and vice versa. We are able to locate and repair gas leaks. If you smell gas around your home, or you are experiencing higher than normal gas bills, we can undertake leak detection work to make sure your home is safe and you are not paying any more than you should be for your gas. Gas repairs and installations should always be undertaken by a qualified and licensed gas fitter. We have a great deal of experience with the following jobs. Not all plumbers are licensed gas fitters. We are licensed gas fitters, and fully insured for your peace of mind and the safety of your home and everyone in it. If you smell gas around your home, it is important that you give us a call straight away. If you are able to isolate the gas at the meter, this is a good idea, and we can be there to repair. Who can work on gas? Only licensed gas fitters can repair and install gas fittings around your home or business. It is essential that you use an accredited gas fitter, for the safety of everyone in your home. Will my home and contents insurance cover me if I don’t use an accredited gas fitter? It is essential that you use a qualified and licensed gas fitter, not only for your families safety but also because insurance companies will not cover unlicensed work. Do you service gas appliances? "Tom from TASM Plumbing was outstanding today. He was reliable, punctual, friendly & went above and beyond. Would highly recommend to anyone, thank you Tom."